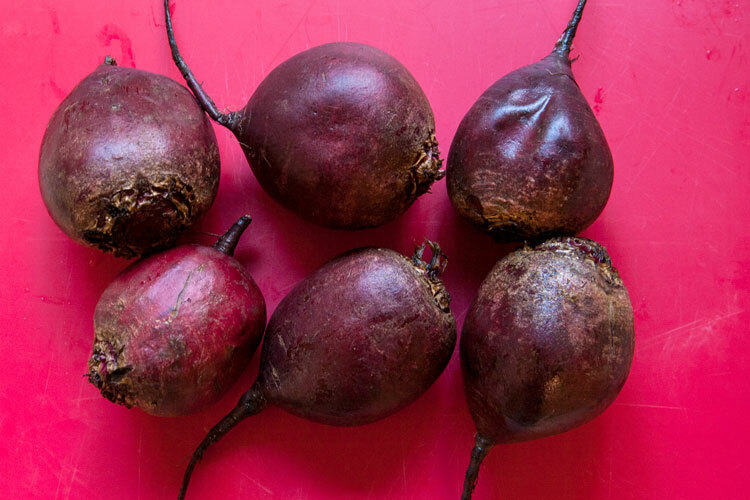 Betalains are the class of pigment molecules that give beets their color. The unusual thing is that just about every other purple plant on Earth is colored with anthocyanins; betalains are a unique exception, found only amongst the Caryophyllales order of plants (including beets along with chard, amaranth and dragon fruit) and strangely, a handful of higher order fungi including Amanita muscaria. Nobody can say how these two very different molecules evolved into parallel roles, but we know that they share more in common than just their color. Betalains have similar biological properties to the flavonoid anthocyanin; when consumed, both have antioxidant activity and can inhibit inflammatory pathways. Nitrate is a soil-borne compound that plants absorb as a source of nitrogen for protein synthesis (found in particularly high concentration in beets). When we eat plants, their nitrate is reduced to nitrite by bacteria living in the backs of our mouths, and can then be reduced again with our own enzymes to nitric oxide. In our physiology, nitric oxide is an important signaling molecule. It’s a volatile gas that can diffuse readily across cell membranes, and it has a key role in the circulatory system, where its presence induces vasodilation and increases blood flow. 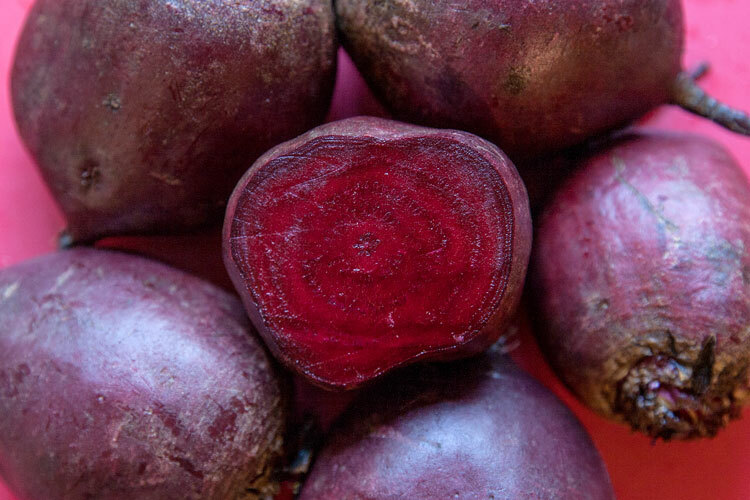 This pathway is likely related to emerging research linking beet consumption to improvements in endothelial function (and potential impacts on cardiovascular health, hypertension, atherosclerosis, and cognitive function). 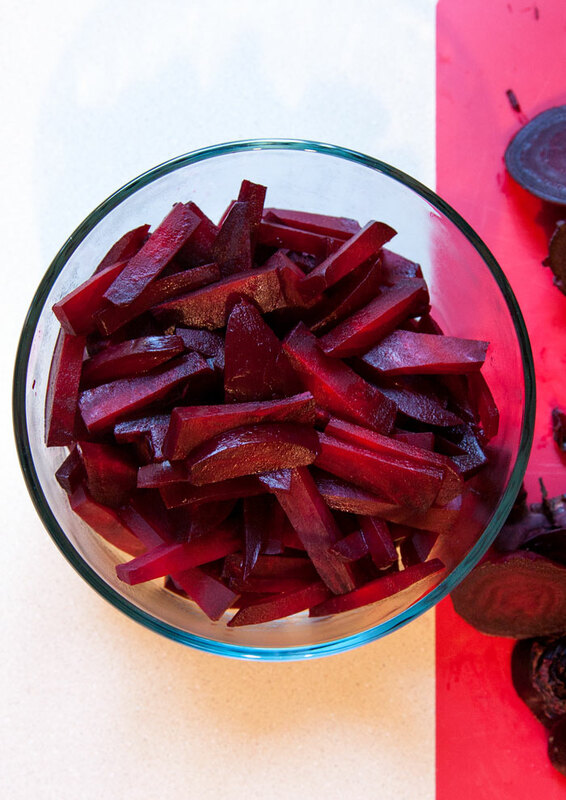 For example, the six beets above ranged between 152-223 grams, so I set my cooking time to 22 minutes – perfect! The number of beets in the cooker doesn’t have much impact on cooking time, so you can use the same guideline regardless of your batch size. After the beets are cooked, I like to make the whole batch ready-to-eat by peeling them, slicing them, and tossing them with salt and red wine vinegar. Chill in the fridge and enjoy for days! Most electric pressure cooker recipes I've read suggest cooking beets for 15-30 minutes depending on their size. If you have an accurate kitchen scale, you can take the guesswork out of selecting a duration: weigh each beet you intend to cook, divide the gram weight of the largest beet by 10, round to the nearest whole number, and cook under high pressure for that number of minutes. 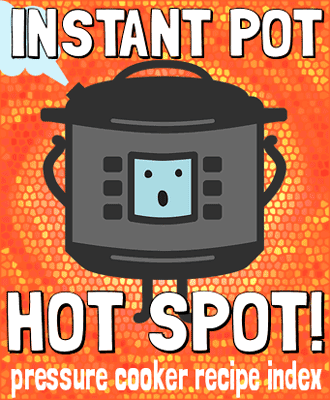 I set the cooking time after selecting Instant Pot's "Steam" function - because steamed food is not at risk for scorching, this setting is designed to use a hotter element and should reach pressure in less time than standard "Manual" mode. 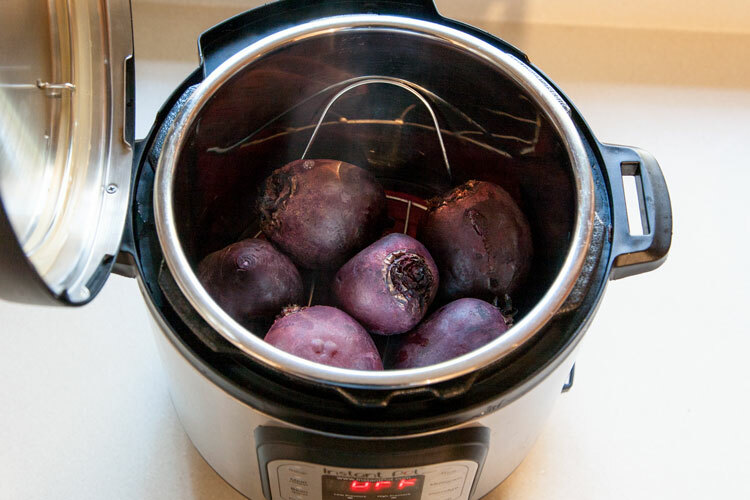 Set the steam rack/trivet or a steamer basket into the Instant Pot's cooking insert, place the beets on top, and pour in a cup of water. Close the lid and ensure that the valve is set to sealed position. Select "Steam" mode, leave the setting on High Pressure, and adjust the time based on the size of your beets (see recipe note). When the cooking time is up, the pressure valve may be opened immediately for a quick release. When the beets are cool enough to handle, slice off the top and root end, then carefully remove the skin either by rubbing it off with your fingers (wearing disposable gloves if desired, or lined with a paper towel to limit staining) or if they're especially stubborn, with a paring knife. The cooked beets may be chilled and stored in the refrigerator for up to 3-4 days. The beets can be sliced and tossed with vinegar, salt, oil or other seasonings; mixed into salads; or used in other recipes.